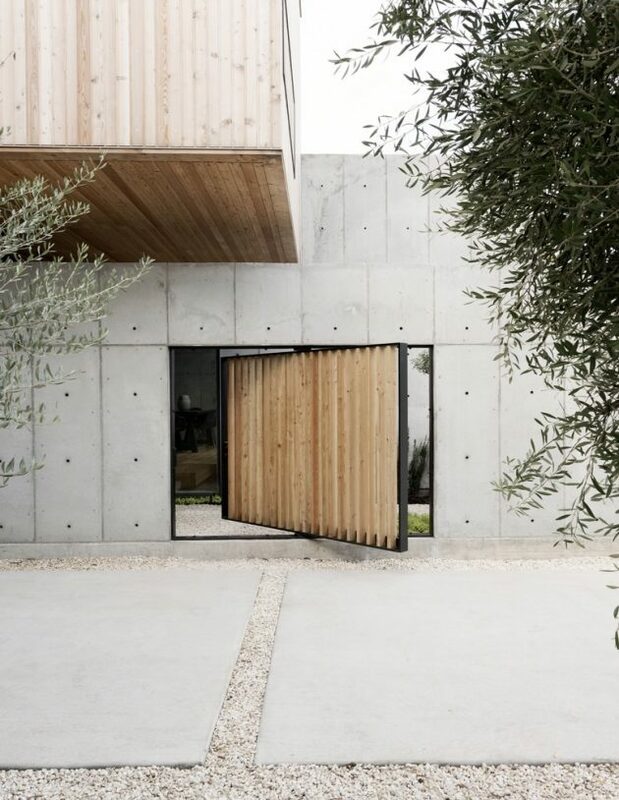 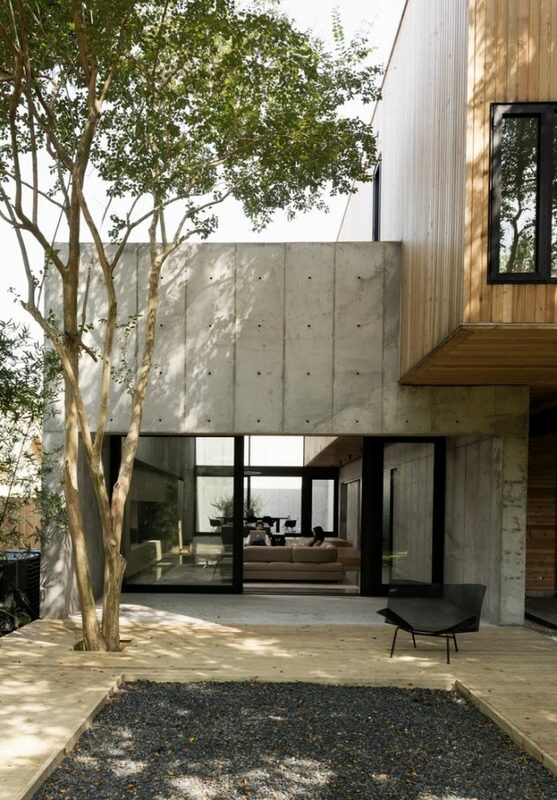 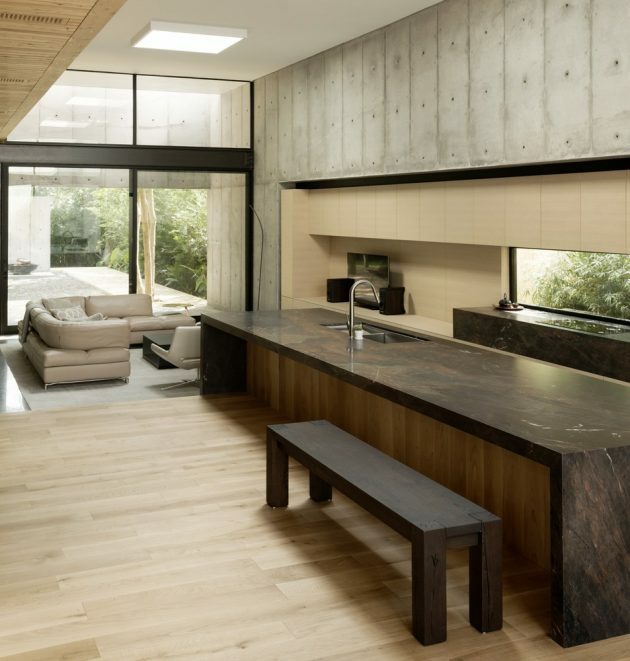 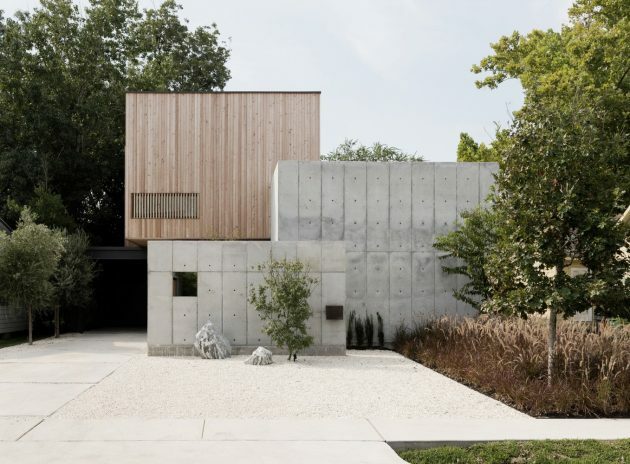 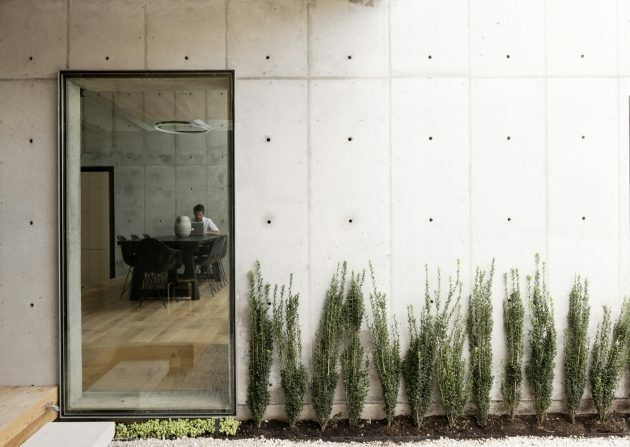 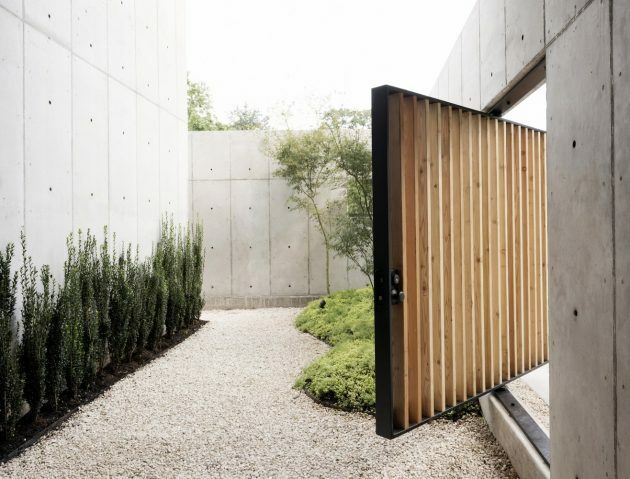 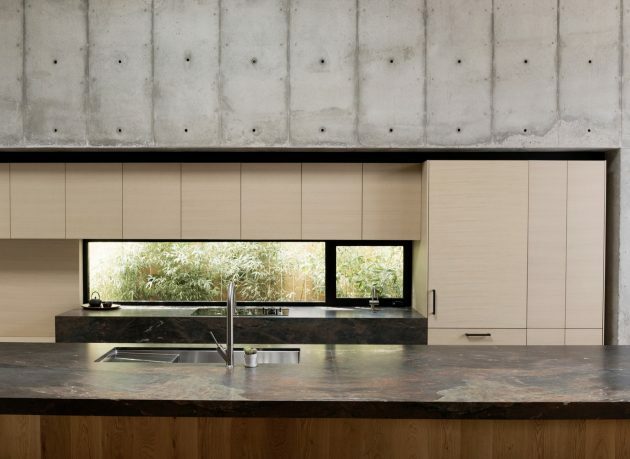 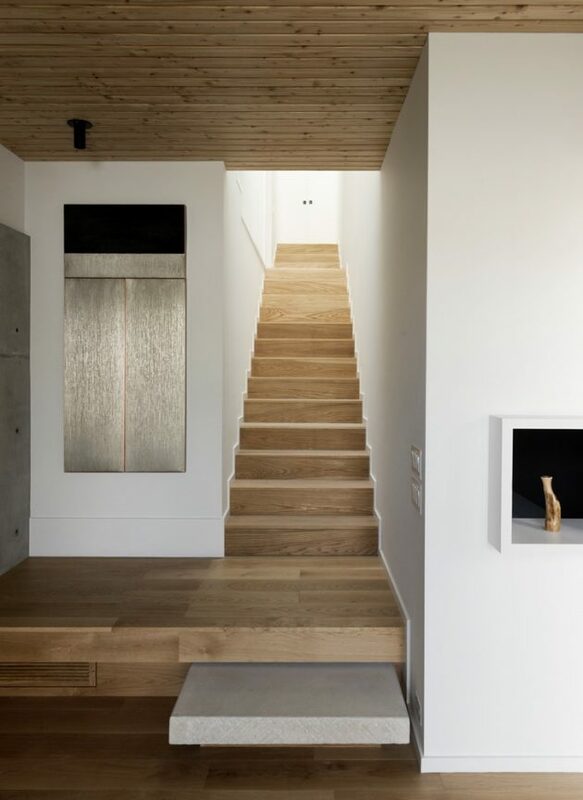 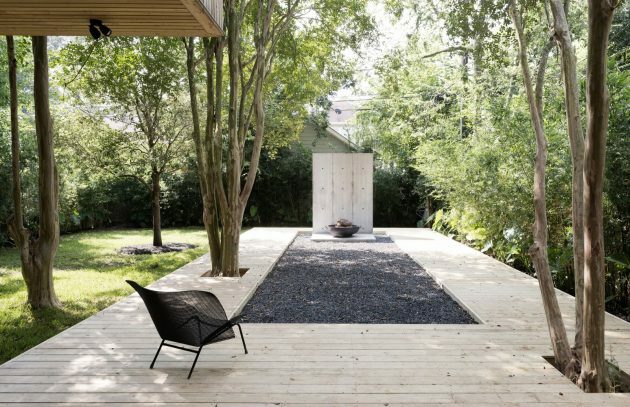 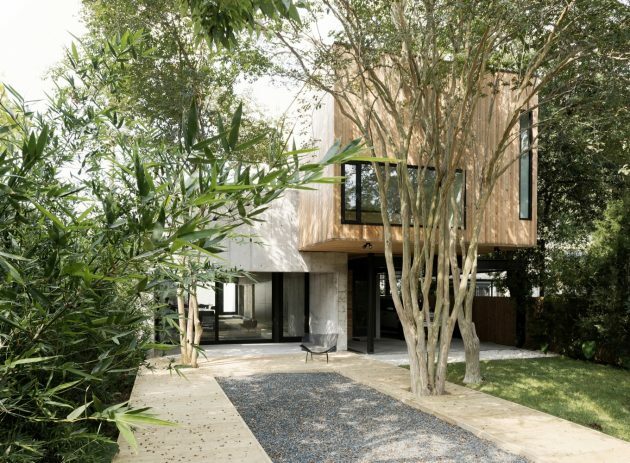 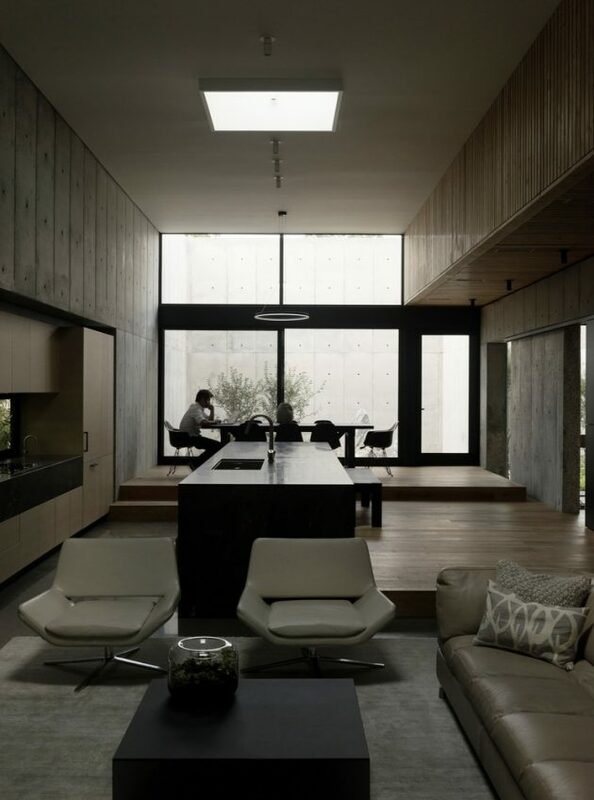 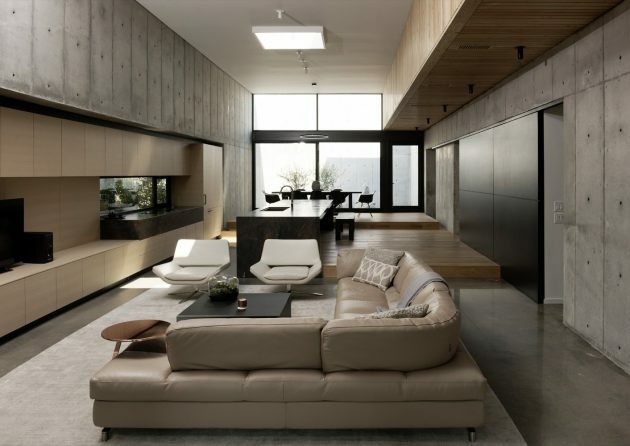 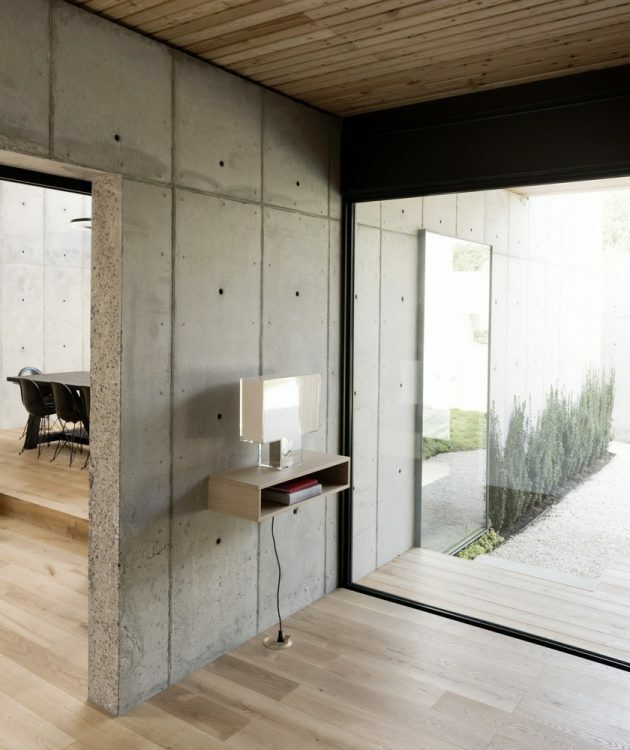 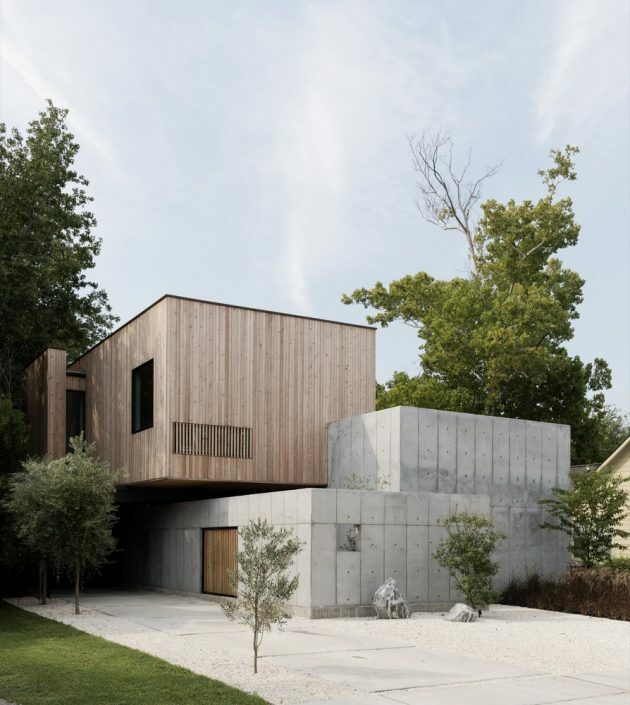 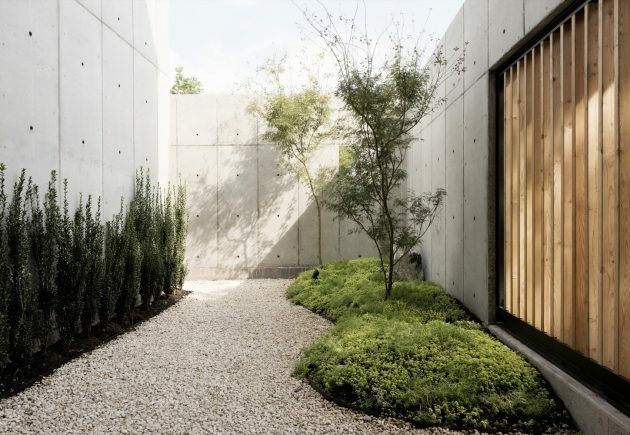 Robertson Design is a Houston, Texas based studio who have created the Concrete Box House – a contemporary residence that draws strong influence from Japanese architecture. 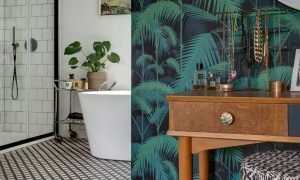 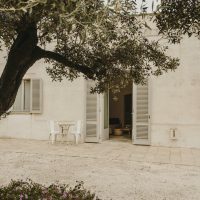 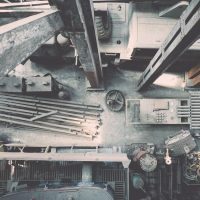 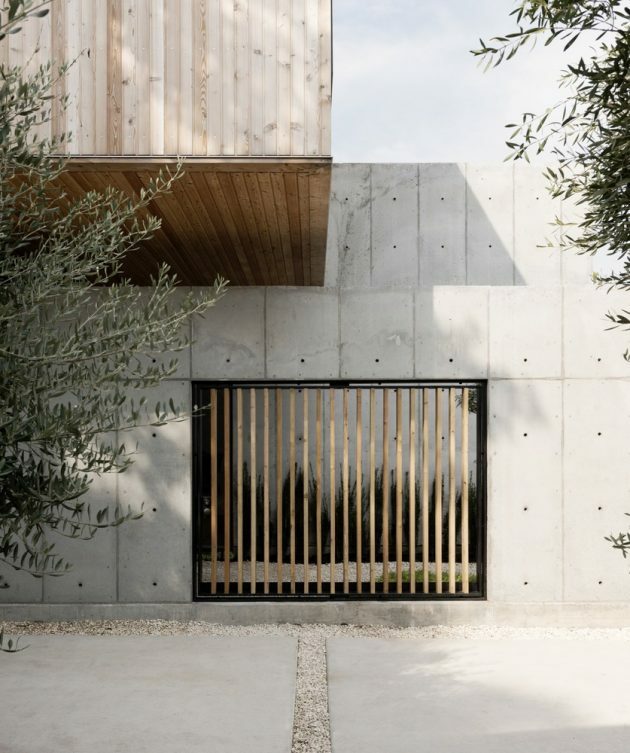 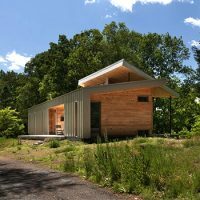 Concrete and timber form three different elements which make up the exterior of the building’s final form: a concrete box, a wooden box and a low concrete wall. 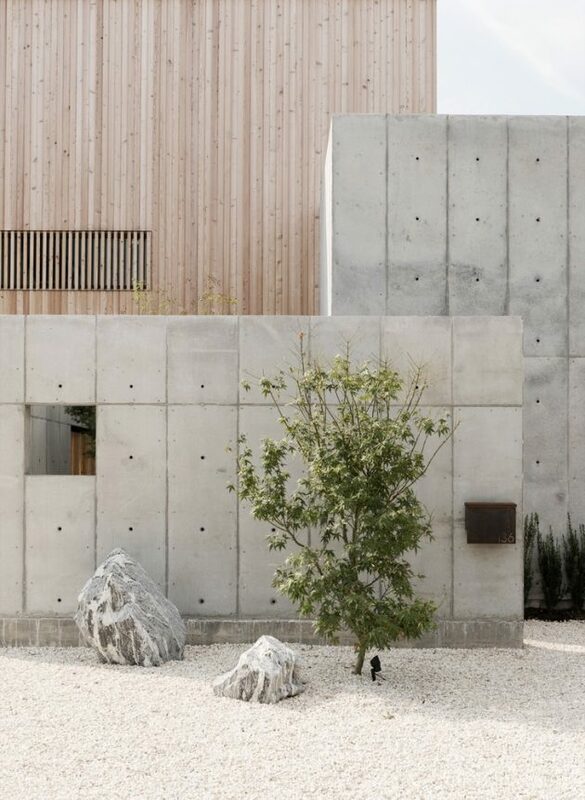 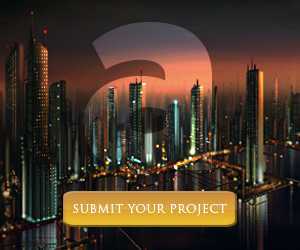 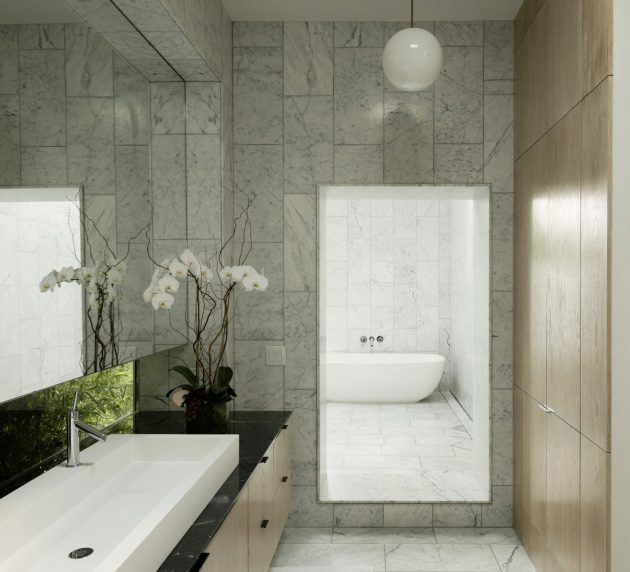 Together, these elements form a delicate balance of overlapping blocks.